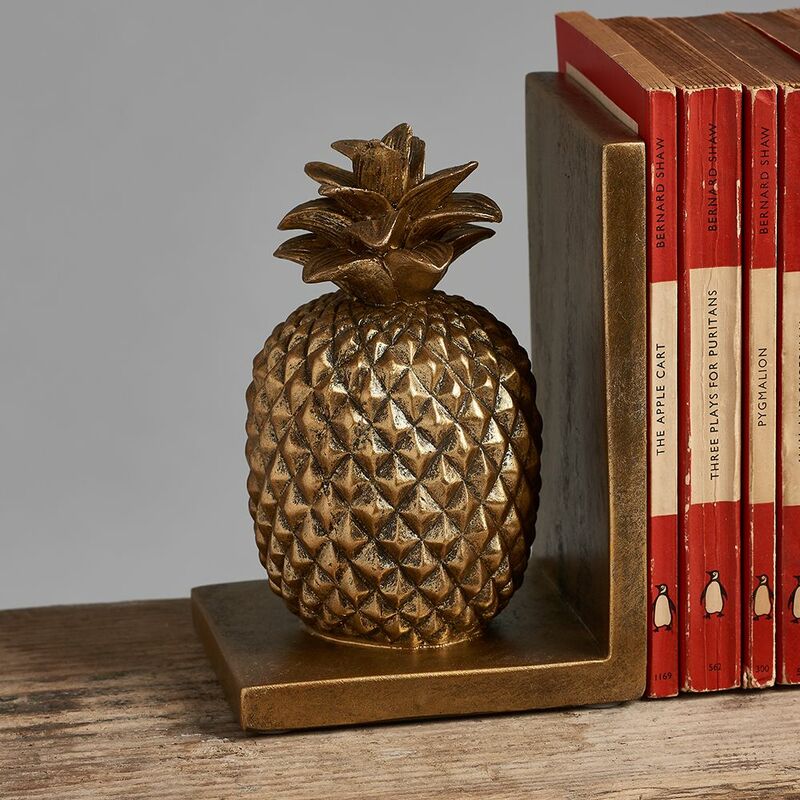 These fetching pineapple bookends add fun and style to any shelf. 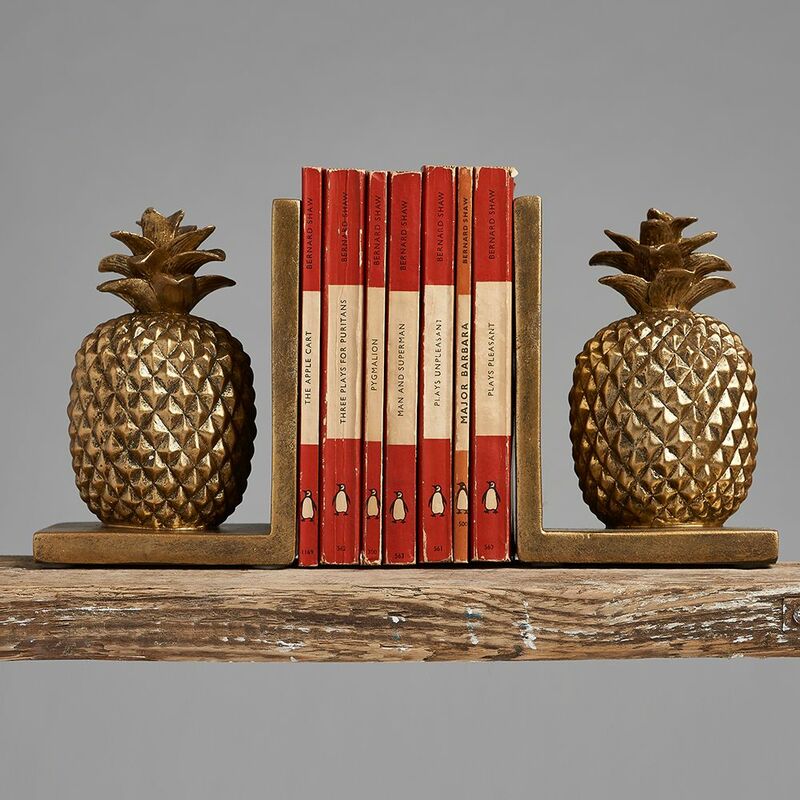 They're finished in antique gold and made from resin to give them some strength. Approx: 22cm high x 12cm x 12cm.